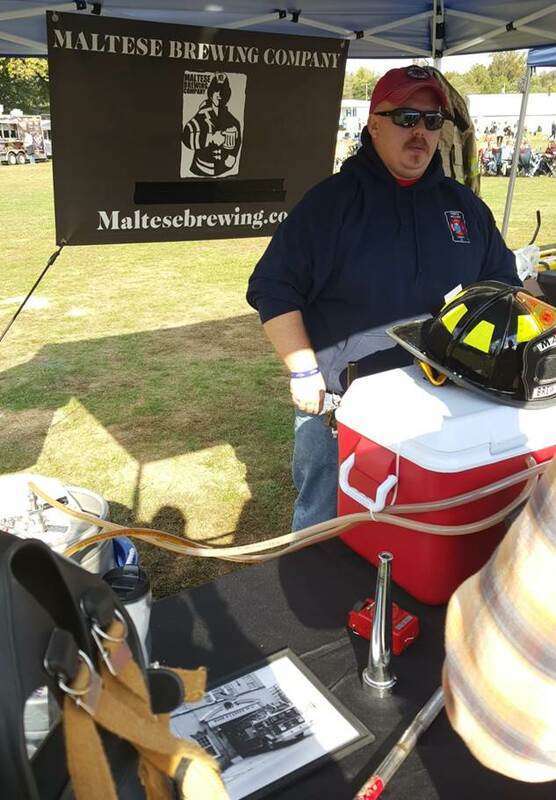 Once again we were able to make it to a Fredericksburg Brew Fest event, this time being their fall season beer festival. The day started much the same VBB’s first visit did with our names not being on the list. Fortunately it was resolved quickly and we were in. We arrived hungry so we started the beer festival with lunch. There were a few yummy-smelling food vendors slinging standard festival fare (fries, cheese fries, loaded fries, hot dogs, and BBQ) but many did not take cards. An ATM was on site but we just decided to support the vendor who conducts business in the 21st century, Legends Grille. There was ample seating for eating and a band was playing live music that was actually quite enjoyable despite the speaker system being a bit too loud. The event itself seemed well organized inside the gates with most of the beer and vendor tents running along one side of the field that made it difficult to miss something. 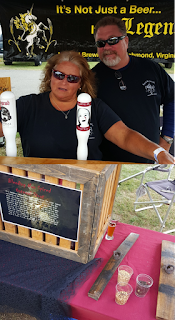 The event also has ciders, wines, and cigars but beer was our focus. The lines were always short and quick, never longer than 10 deep. We were shocked that so many breweries were tapped early, including Ballast Point and Terrapin, though it might have been a stocking or equipment issue (and fortunately those were beers readily available in the Richmond market). The only thing I found disappointing was that few of the tents had actual brewery reps or workers, most were staffed by volunteers who were all friendly and poured generously but were often unable to answer specific questions (including one who did not know where the beer they were pouring was located). In the spring bathrooms seemed to be an issue but, as promised by event planners, this season there were plenty of bathrooms with short or no lines. So, I know you’re all wondering if we tried all the beer there, which our answer is a resounding “of course not!” Over 80 brews were sampled, including flagship beers and limited quantity VIP beers, and that’s a lot of beer. In the end we tried 21 beers, many of which were new to us. 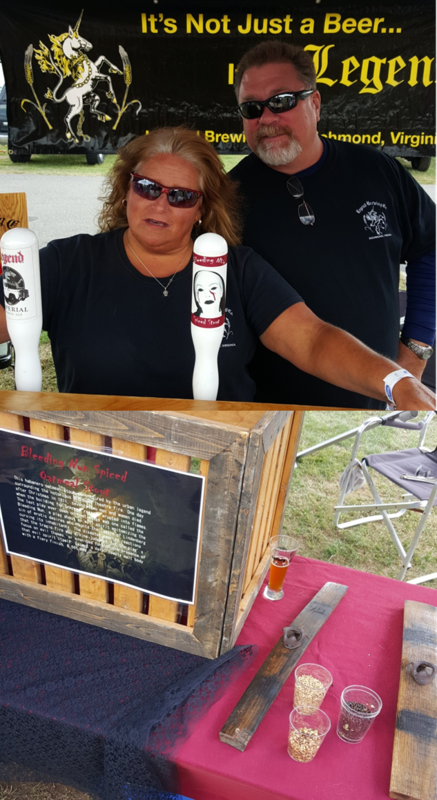 Without a doubt the two biggest standouts to us were Legend’s Bleeding Nun Spiced Oatmeal Stout and Blue & Gray’s Raddler. Not surprising, these were two of the few breweries that either a) brewed a beer specifically for the event or b)had actual brewery staff work the tent. 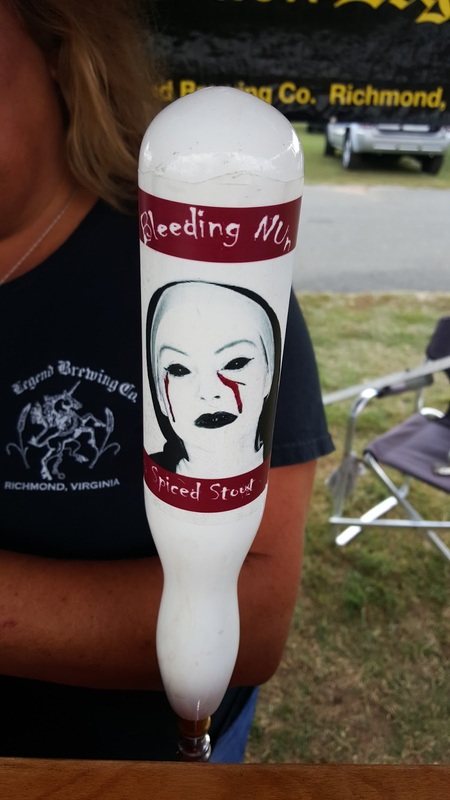 Bleeding Nun is Legend Brewing’s newest addition to the Urban Legend Series brewed with habanero, super smooth with all the roasty-toasty goodness of a stout and a kick of nice (not mouth-watering) heat. Fortunately for everyone it IS being bottled and should be released soon. The Urban Legend Series also brought the Z Dam into distribution, one of my favorite beers I’ve tried this year. Keep it up Legend! Raddler from Blue & Gray was the first beer we actually tried, brewed specifically for this event so future availability seems uncertain. It was wonderful, light wheaty body with plenty of citrus which was shocking as most of my favorite brews from Blue & Gray have been heavy stouts and porters. Radlers or raddlers need to be more prevalent, especially in the brunch scene as I think of these in the same realm as mimosas. Two other standouts were both from a brewery we had not had before, Maltese Brewing Co. from Spotsylvania/Fredericksburg. One was their Pineapple IPA which was very tasty with great pineapple flavor, though one of us thought it could have been a bit more prominent. The other was their Vanilla Brown which, despite being sweeter than many beers, was very well rounded with the characteristic brown flavors you’d expect with non-fake-tasting vanilla. 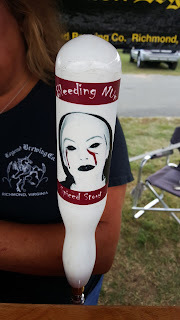 The winner of the day's un-official coolest tap handle award, judged solely by me, goes to: Adventure Brewing created by East Coast Taps. Just the rock climbing wall on its own makes for a great handle, but the addition of the little hanging climber is just awesome. If I saw this tap next to 50+ others, including the heavy hitters in craft beer, I'd totally choose this. 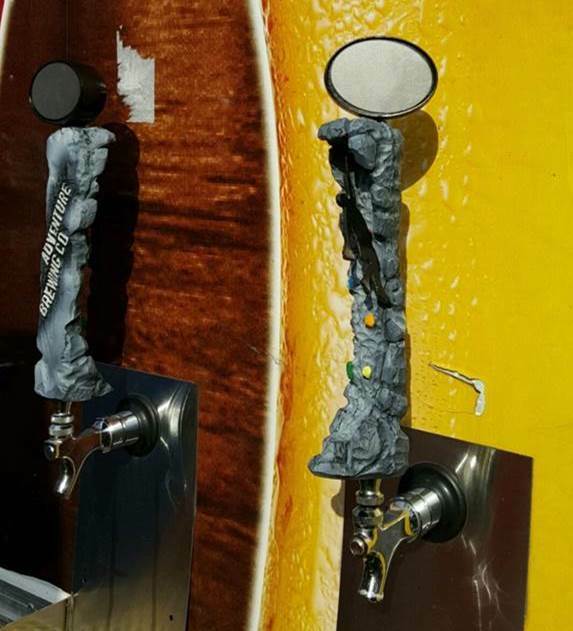 Luckily the beer flowing through the tap was great. The event was very enjoyable, we were able to drink plenty of tasty beer without the long lines and smothering crowds that are synonymous with beer festivals. Oddly, we left feeling like there were some breweries who were advertised as going that we did not see there but that was not enough to negatively impact our experience. We stayed for a few hours and, with the festival still chugging along, we left happy. Moving forward our only hopes are on the breweries’ parts - bring more exclusive beers, maybe one flagship and one seasonal/special, and staff the tents with knowledgeable brewery reps/staff. 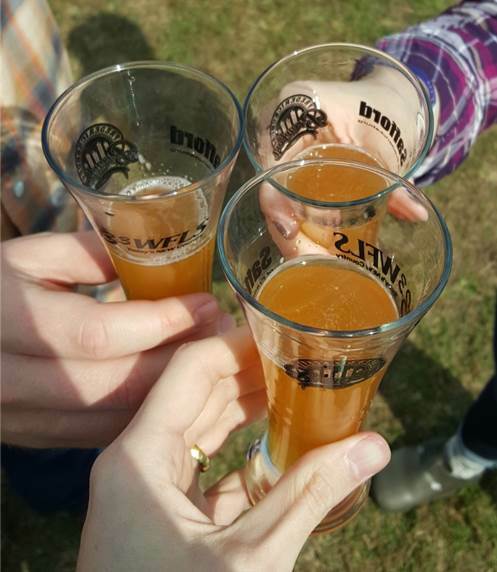 VBB looks forward to Fredericksburg Brewfest’s future festivals, hope to see you all there! Contingency-planning is, of course, one of the most vital factors of the effective corporate event and should be taken care by an expert event designer. Creative solutions must be produced by corporate event planners to create awareness and increase sales by engaging an audience with a company brand.